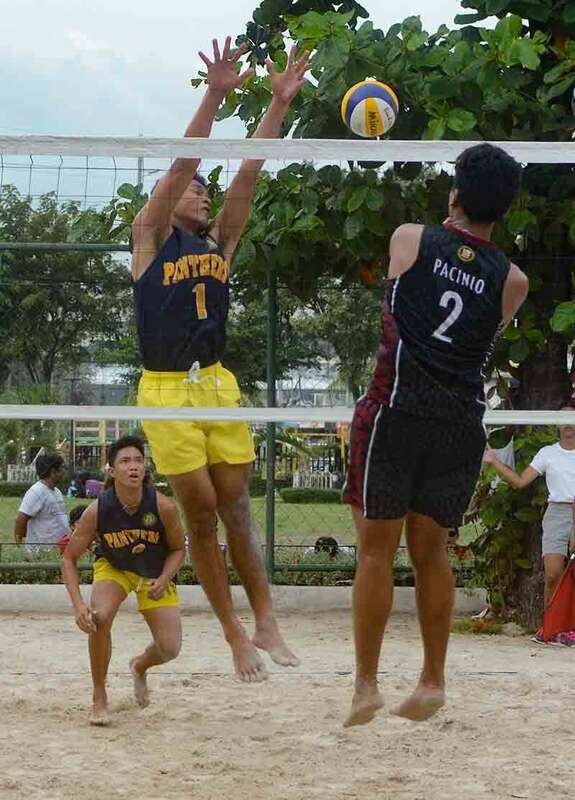 THE University of Southern Philippines-Foundation (USP-F) rising spikers Ian Kym Jumandos and Amil Pacinio play with a nothing to lose mentality as the only high school team in the highly-competitive 2019 Mayor’s Cup Sinulog Beach Volleyball Tournament. The duo proved that they can play with the same intensity against the veteran players after they nipped their second win in as many games with a straight sets triumph over the University of the Visayas (UV) Team B, 21-13, 21-17, at the Fort San Pedro sand court, Plaza Independencia on Friday, Jan. 25. The Cebu Schools Athletic Association Inc. (Cesafi) reigning boys’ champion USP-F beat University of San Carlos (USC), 21-12, 21-17, on Thursday afternoon. Cesafi beach volleyball MVP Jumandos said they will come out to play their game without any pressure and expectation of winning the title, especially with the presence of formidable collegiate teams and veteran players. “So far, we have been playing well. We will just enjoy this tournament playing against these top players. This is part of our preparation for our next tournament,’ he said, referring to the Central Visayas Regional Athletic Association (Cviraa) meet in Dumaguete City and Private Schools Athletic Association (Prisaa) regional meet, both in February. “We are not thinking about anything. Our priority is to gain experience,” added the duo, who weathered the late rally from UV in the second set to pull away with a four-point win, 21-17. In the other games last Thursday, Asian beat UV Team B, 21-15, 21-14; UV Team A defeated University of Cebu (UC), 21-18, 21-12; PrimeSular/Team KR routed City Hall, 21-6, 21-10; UV Team A scored a lopsided win over City Hall, 21-4, 21-7; and Primesural/Team KR beat USP-F Team A collegiate, 21-16, 21-11. In the women’s division, Harbor Pilot pulled off a double win beating Landmaster, 21-19, 22-20 then UC Team A, 21-11, 21-15; while USC escaped USP-F, 19-21, 21-18, 15-12. 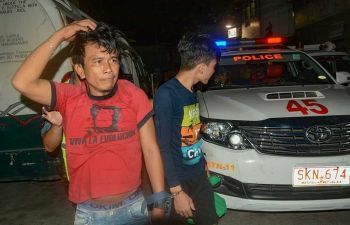 The tournament organized by the Cebu City Sports Commission will shell out P20,000 in cash prize to the champion, while the losing finalist gets P15,000. 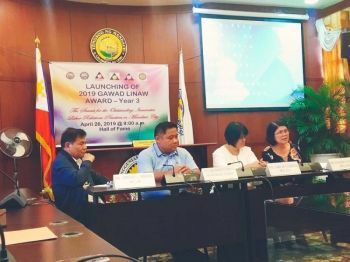 The third and fourth placer will get P10,000 and P5,000, respectively.